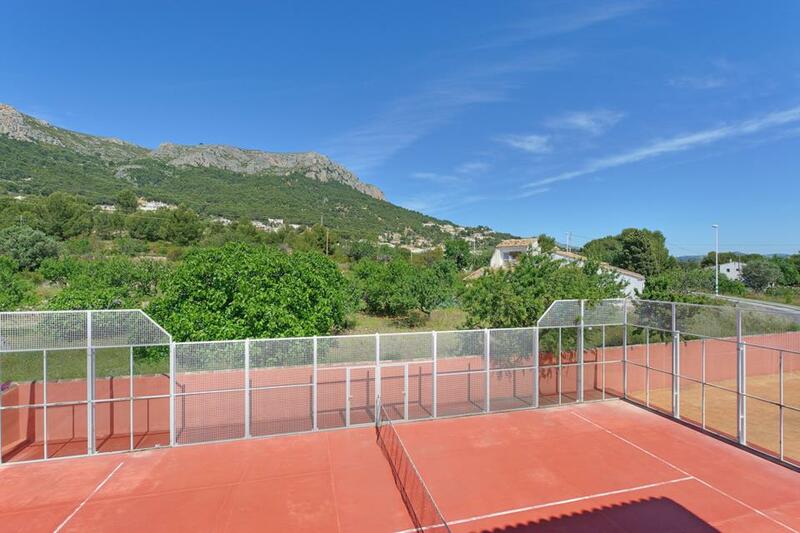 A magnificent luxury villa with panoramic sea views, located in the popular resort of Calpe with private tennis court and heated swimming pool. This striking, spacious villa, with its very own private swimming pool and private tennis court, rivals the very best that Calpe, or this picturesque coastline has to offer. Villa Estacion is located close to the superb safe sandy beach, shops and supermarkets as well as a good selection of restaurants and cafes. 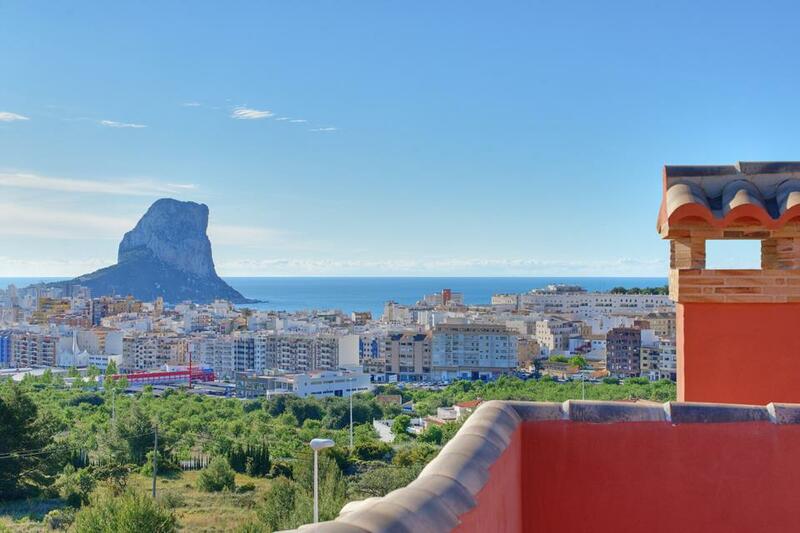 The centre of Calpe with its extensive shopping streets and the colourful Marina can also be found a short stroll away. There’s little need to consider renting a car whilst staying at this impressive villa, as a fabulous selection of shops and restaurants are within such easy reach, but renting a car would be advantageous for exploring this gorgeous stretch of coastline, with Moraira, the Jalon Valley and nearby Benissa all worth a visit. However, with such an amazing villa to relax in, and delightfully absorbing views to soak in, we would be mightily surprised if anyone ventured far from this magnificent holiday villa. A large sliding gate opens off the main road onto a parking area for 6 cars. The entrance can be reached via a ramp passing the tennis court. 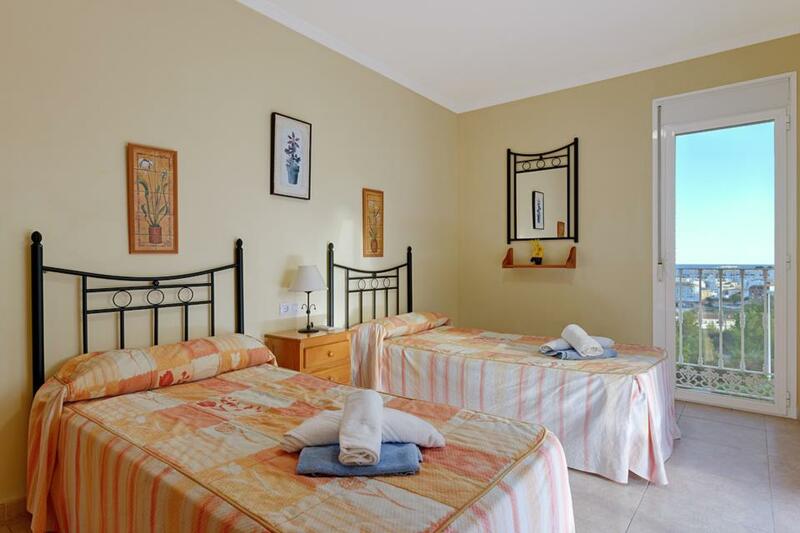 There is one step into the villa from the front door (78 cm wide) Upon entering the villa there is a double bedroom to the right (door 70 cm wide) with an en suite bathroom (door 68 cm wide) with a bath. 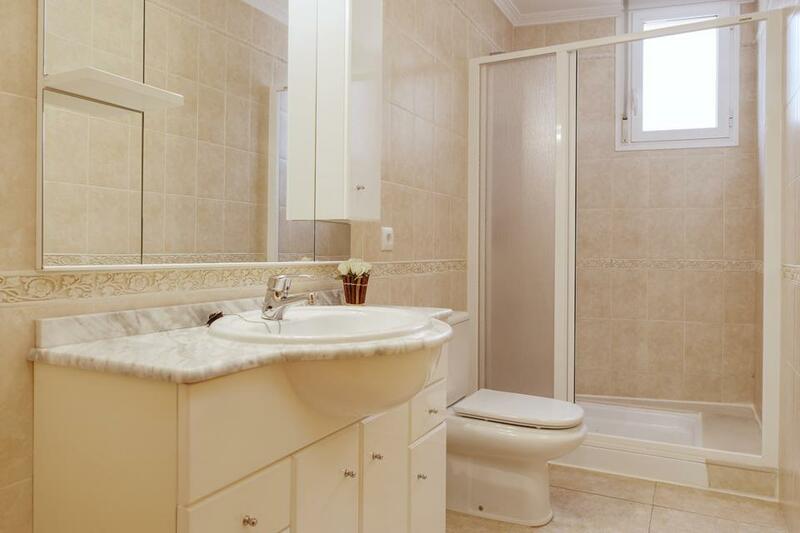 There is also a shower room on this floor (door 68 cm wide) with a small step into the shower. There is an open plan lounge and dining area on this floor (entrance through an archway) and a further archway entrance into the kitchen. Just outside the lounge through double patio doors (76 cm wide) there is a covered terrace. There is a small step over the rim of the patio door frame to get onto the terrace and then a further 8 steps down to the garden/pool/BBQ areas which are all on one level. 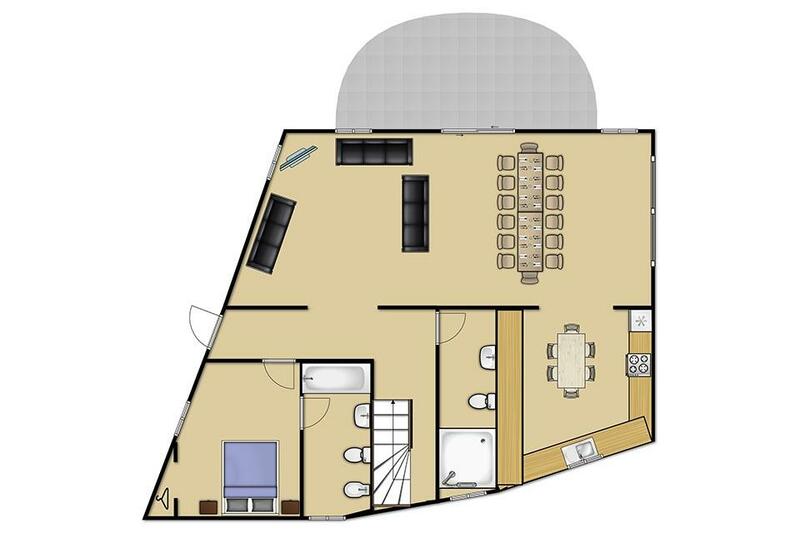 The other areas of the villa may not be suitable for those with restricted mobility as there are two flights of stairs up to access the top floor and down to access the basement floor. 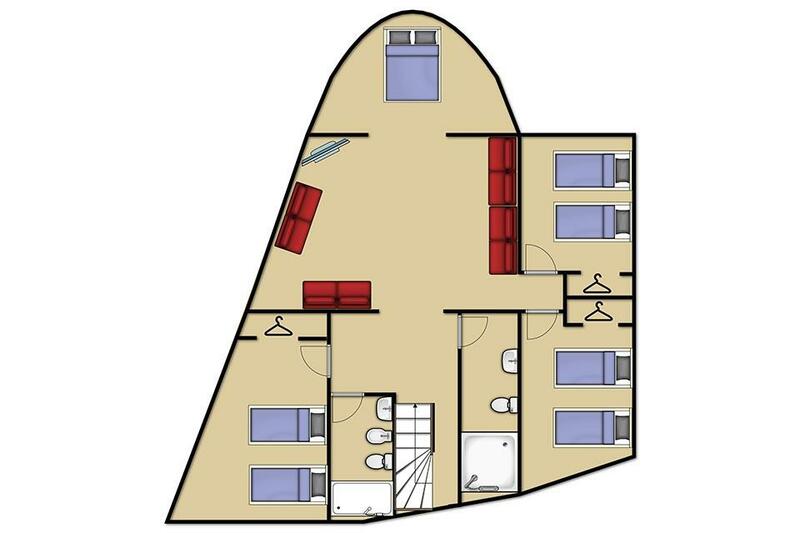 Whilst we believe this villa may be suitable for those with restricted mobility, we have provided this mobility statement to allow every client to make an informed decision prior to booking. However if you do have specific needs that may affect the suitability of a villa for your party please do contact us prior to booking to check suitability. 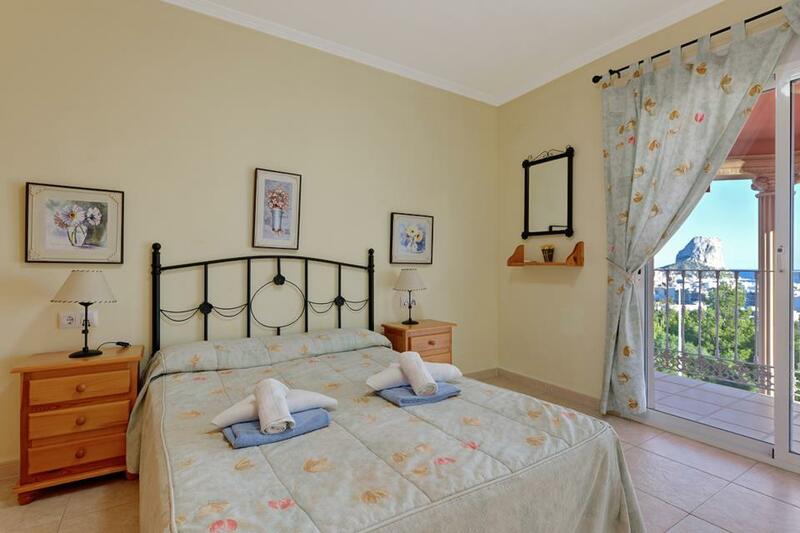 This was a fantastic villa everything about it was great everyone of us loved it Could not have asked for anything more rooms where spacious plenty of wardrobe space and clean. I would recommend to anyone if there is a few of you going 17 of us went and never did we find we where falling over each other loved this holiday and would definitely comeback. Had a lovely stay for my Sister’s 50th - group of 15 spanning age 4 to 70+. Villa had loads of space and kitchen was well equipped (3 fridges and loads of crockery and glasses). Overall great value. Loved the outside space. Resort was lovely and within walking distance although had to cross a very busy dual carriageway. Villa was fabulous. Pool area was spacious with plenty of sun beds and parasols. We had the pool heated which was lovely. Kitchen was well equipped lots of fridge/freezers Outside barbecue area was great. Tennis court with equipment provided. Bus runs twice hourly into Calpe from just up the hill from villa so a car is not a necessity. Only problem we had was all beds had very hard mattresses and all 12 of us suffered from not being able to sleep at night. Would only return if this was sorted out. 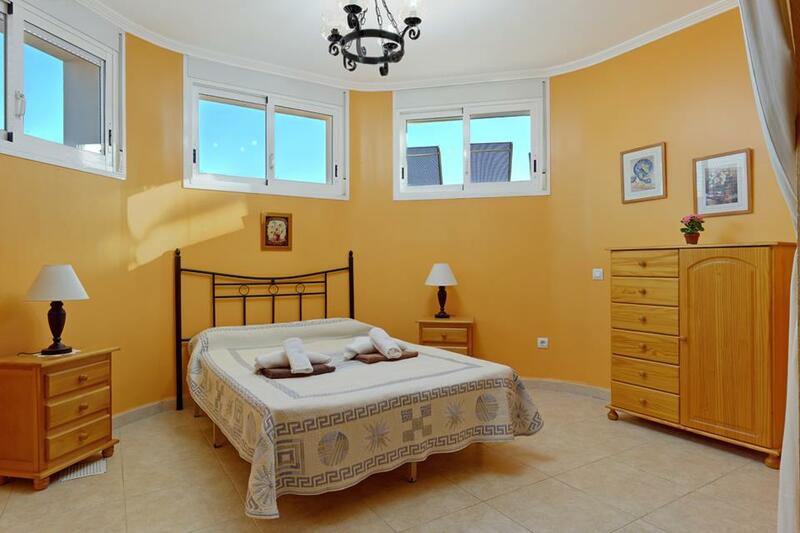 Spacious, clean, good ameneties, close to railway, nice location, beautiful beach. 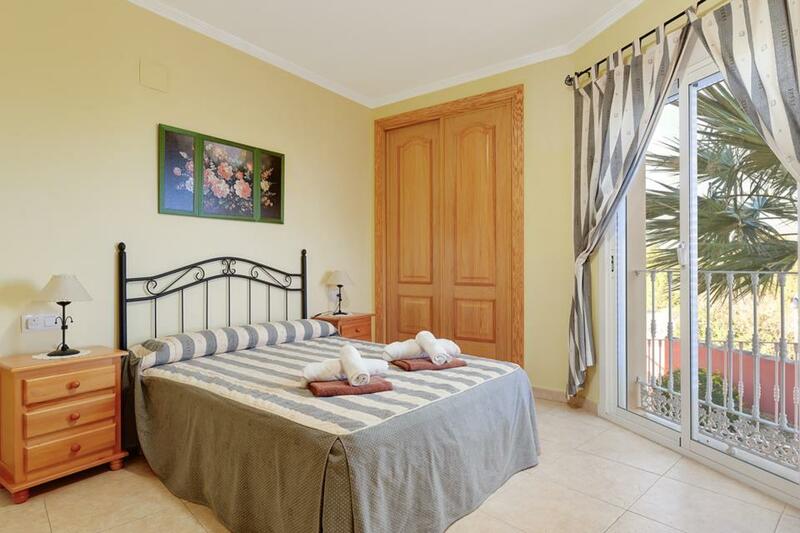 The villa is large and is situated in a lovely, quiet part of Calpe very close to the local bus stop and train station. The pool and tennis court was used constantly by the family for the duration of the holiday. 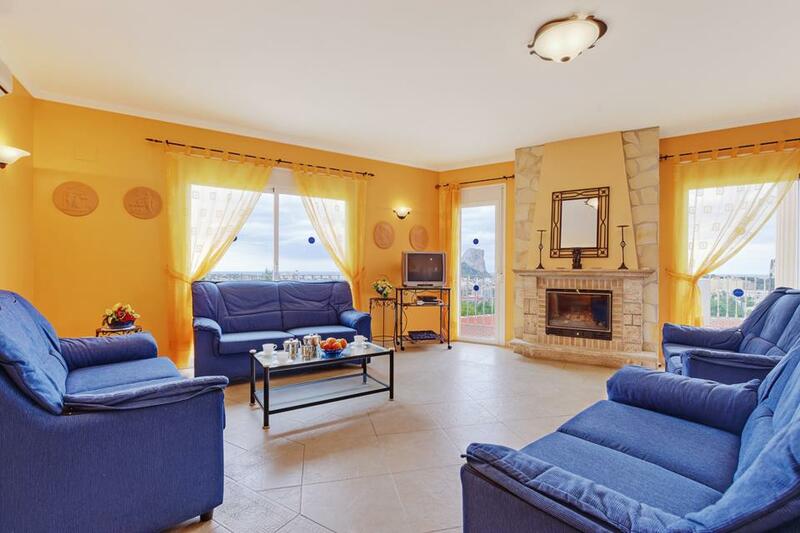 The villa is well stocked but the only downside to my review is that the sofas are in DIRE need of replacement and the beds were on the whole, quite uncomfortable. The decor is dated but the villa was clean and tidy on our arrival. The fact the electricity and final clean is included in the cost of hiring the villa is a welcome bonus. Rated Good. The villa was very clean and well presented. The pool area is great and there is plenty of room. The villa was huge and well equipped with everything you could need. The whole experience with Solmar was very good and I shall definitely be using their services again. 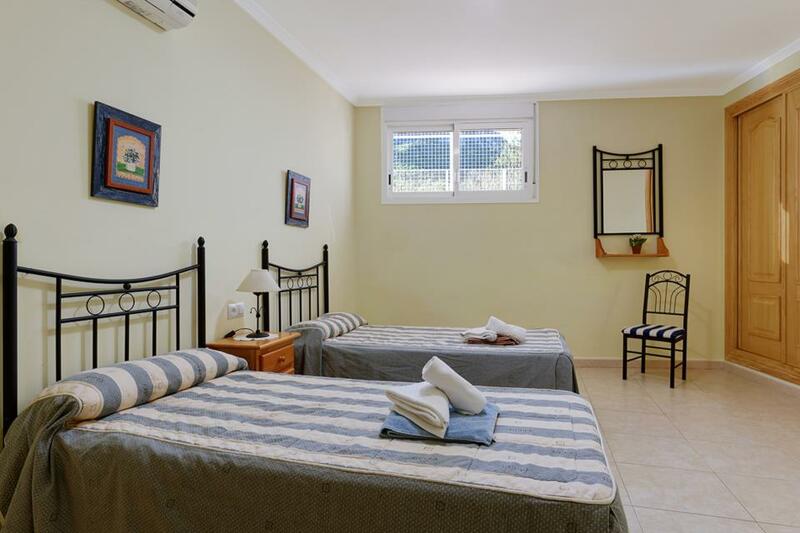 The villa is in a quiet location at the top of a hill so a car for the shops may be a good idea, the walk to the nearest supermarket is approximately 20 minutes. The villa was everything you could dream of, we have booked with you so many times before and never been disappointed, and this villa was no exception. Had a great holiday and wished we had stayed 2 weeks instead of 1, oh well there is always next year. We have just returned from a 1 week stay (5 June 2016-12 June 2016) at Villa Estacion. There were 14 of us, mainly couples with teenage children, a 7 year old and a 3 year old. The villa is gorgeous and very spacious. We spent a lot of time in the amazing pool and the kids were very safe in the grounds of the villa. We made use of the tennis court and the outdoor bbq. 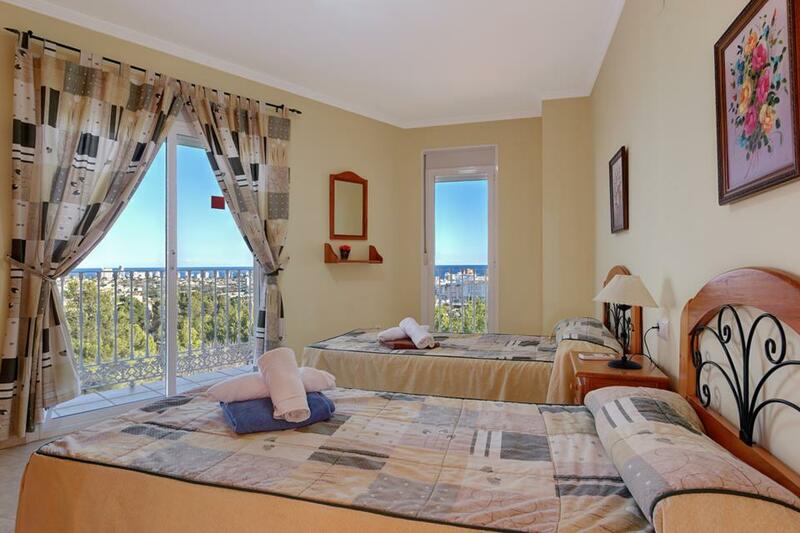 The villa is in a very good location, with the tram to Benidorm just a 400 metre walk away and Calpe beach about a 25/30 minute walk away. Taxi's back up to the villa were around 8 euros which is very reasonable and all the taxi drivers knew where the villa was. Overall a fabulous villa and once beds and washing machine are sorted out we would definately stay here again. The villa was superb, very well provisioned with air con throughout. We had some minor problems caused by previous guests but Emma, the rep, was very helpful, and in the end there was nothing to mar our stay. We really appreciated the heated pool, and the fact that we were within walking distance of the town centre and beach was a plus. We have visited the area before and know Calpe well. Anyone new to the area should be aware that if there are fiestas planned, shops may be closed for more than one day, apart from a few gift shops and cafes. We would love to stay in this villa again. This villa is VERY spacious. There were 10 in our party and we all had enough space. 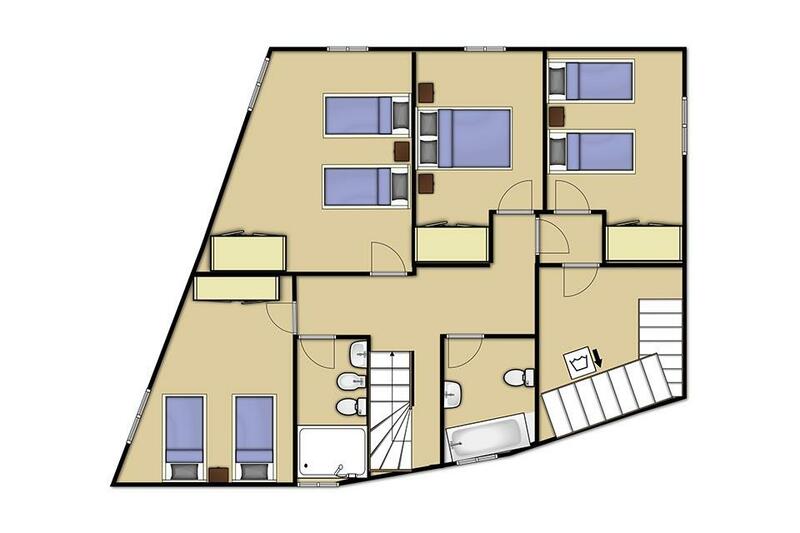 Rooms are very spacious too. Gorgeous views all around. Emma the rep, was very good as well and was always available if we needed her assistance. The town is about 20 minutes walk away and had something for everyone. Lots of shops, not like your typical holiday town. Lovely restaurants too!! Well recommended. 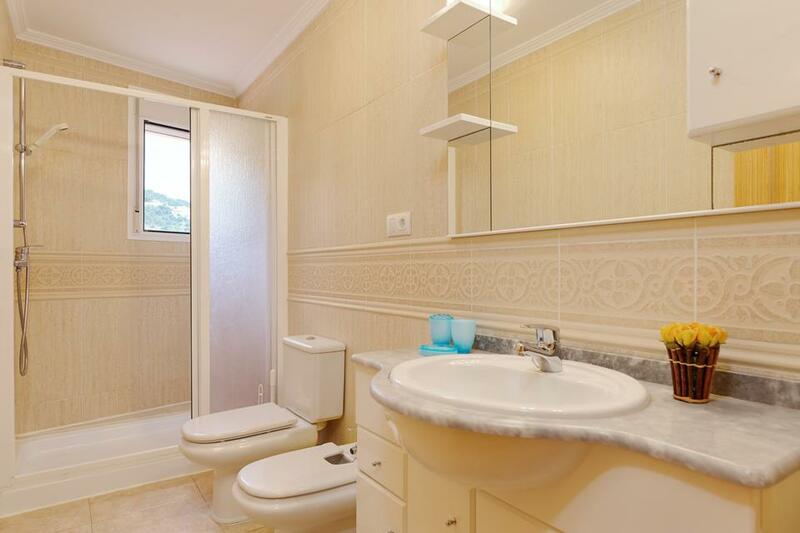 The good things I can mention is that villa is spacious and has everything you need. The minus of it is location. Rated: Excellent. The villa was excellent and clean. The views are amazing. We had a car which is ideal to get to and from the shops and beach. Walking the route isn't great due to lack of footpaths. Overall holiday good and I look forward to another solmar villa holiday in the future. Rated: Excellent. 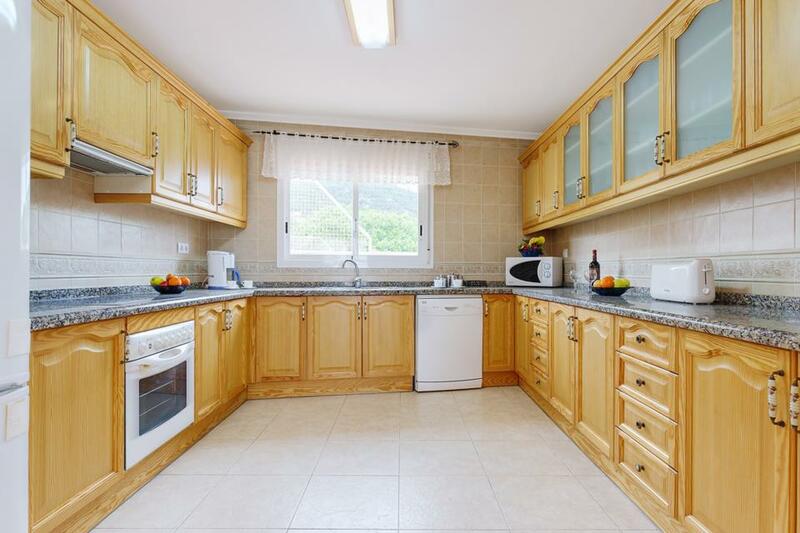 A nice big house with big kitchen and roomy throughout. Pretentious house, which could be seen wherever you were and with a very good view of Calpe and rock. Easy walk to the train to go to other towns. If you have a car there are lots of places to explore. Firstly the villa is amazing there were 15 adults on this trip and not at any stage did it feel crammed in the house. There was aircon and great wifi and such a beautiful view of the beach and famous rock. Our rep Emma was amazing, we had to contact her a few times about different things and she was so helpful and available anytime. Calpe is a quieter resort for us as we were ages 22-30 but enidorm is only 20 mins away and is €30 in a taxi. The villa is slightly out of the town about a 15 mins walk to the centre but we just walked down and then got a taxi home.Cant recommend this place enough but more so Emma the rep, she really ensured we had all we asked for. Rated Excellent. We stayed at the villa for 2 weeks in July 2013 for a large family holiday,the villa was very spacious accommodating 18 of us (14) adults and 4 children). It was clean,tidy and had a fantastic pool and barbecue area. 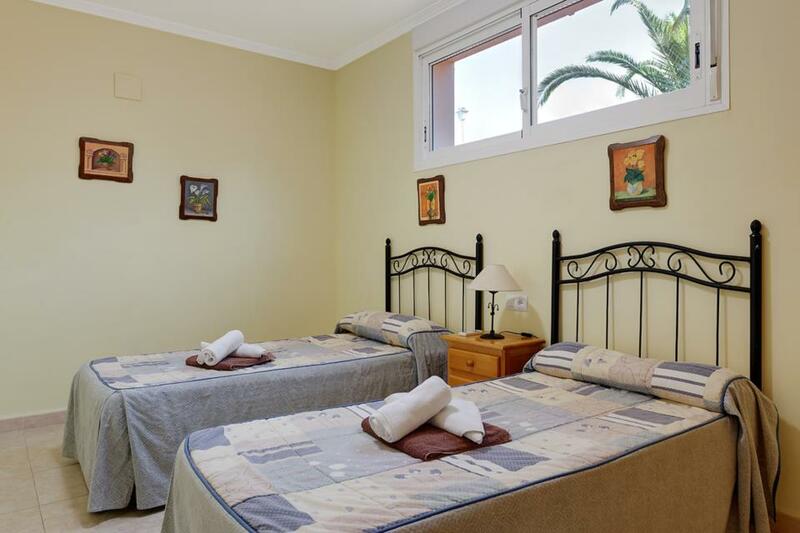 It is located in a quiet area at the top of the hill, approximately 20 minute walk from the beach and town centre(7 euros by taxi)but only a 2 minute walk to the train station which means easy access to Benidorm,Altea and Denia without the need for car hire. We thoroughly enjoyed the holiday and have some great memories and will definitely return as it was a great experience compared to the normal package holiday. I'd rate my overall experience for this villa as: Excellent The villa was everything we thought it to be. The description online was very accurate. A car is completely unnecessary due to the very close proximity of the bus and train stops, a 2 minute walk up the hill. Our group used the bus to visit Calpe and used the train to other towns such as Altea and Benidorm. The villa was excellent in every way, plenty bedrooms, bathrooms, eating and cooking space and best of all the heated pool. No one wanted to leave. Thanks Solmar. The villa we booked with you 'Estacion' was excellent. It was very clean on our arrival and we thoroughly enjoyed our stay there! We have booked other villas with you in the past - Mr Forde has previously done the bookings with you. We have stayed at 13E in Calpe two years ago which was another beautiful villa, and in October last year we booked with a Villa at Nerja for a week and another in Estepona, The latter was exceptional and a real delight! We thoroughly enjoy the selection of villas you offer and look forward to returning to you next year (if not before) and every year in the future as the service you provide is second to none in our opinion. This striking terracotta villa has a slightly elevated position just above the popular resort of Calpe, affording superb views of the imposing Penon de Ifach rock and the beautiful surrounding coastline. Calpe’s family-friendly sandy beaches and bustling..